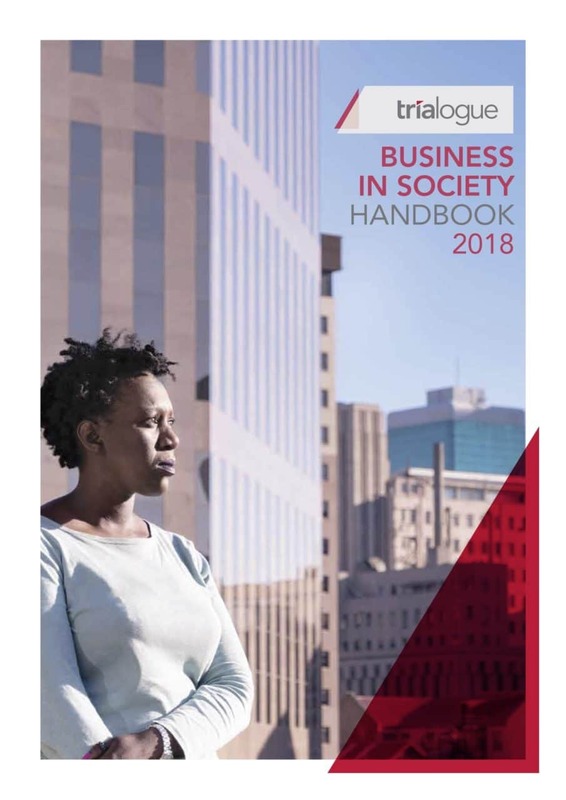 This 21st edition of the Handbook builds on the publication’s well-established reputation for providing comprehensive and reliable data and thought leadership on corporate social investment (CSI), while also responding to the increasingly holistic role of business within society, including but not bound by the concept of CSI. This commemorative edition reflects on progress, profiles the current state of the CSI sector in South Africa, and draws on two decades of insight to propose future trends and anticipated responsible business practices. 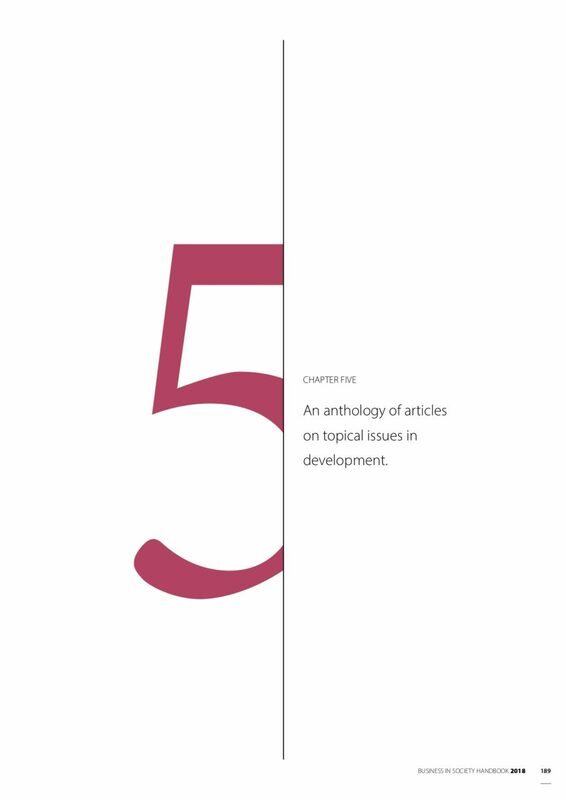 This edition has a special focus on the recently adopted Agenda 2030 for Sustainable Development, with its 17 Sustainable Development Goals (SDG) referenced throughout the publication, helping to position local developmental issues within a global context. 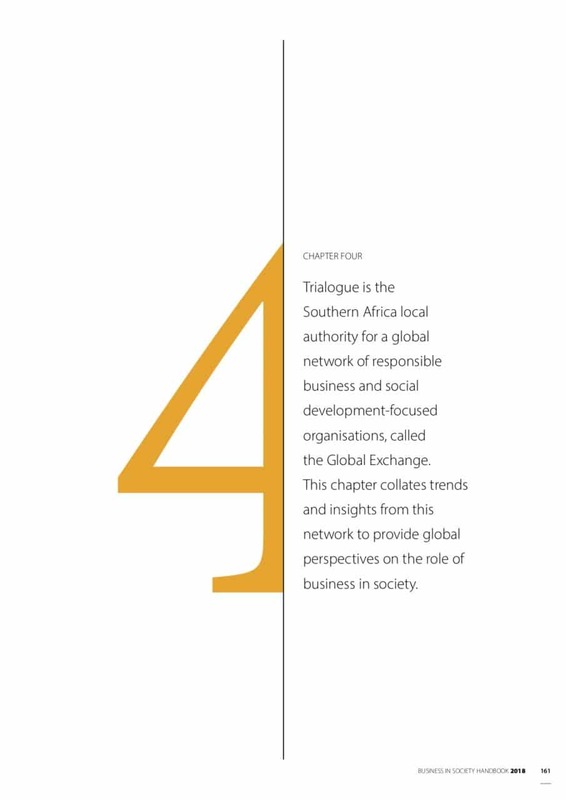 The Trialogue Sustainability Review is the only dedicated sustainability publication developed and written by professionals working in the field who have years of publishing and consulting experience. 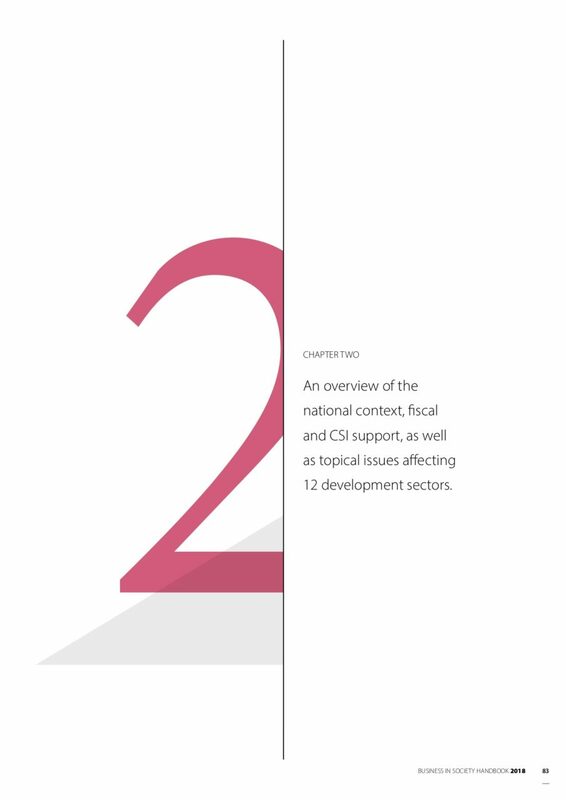 This second edition of The Trialogue Funders Guide, which collates expert research, analyses and insight, has been compiled as a user-friendly resource, to simplify the funding of social development, and make it more effective. 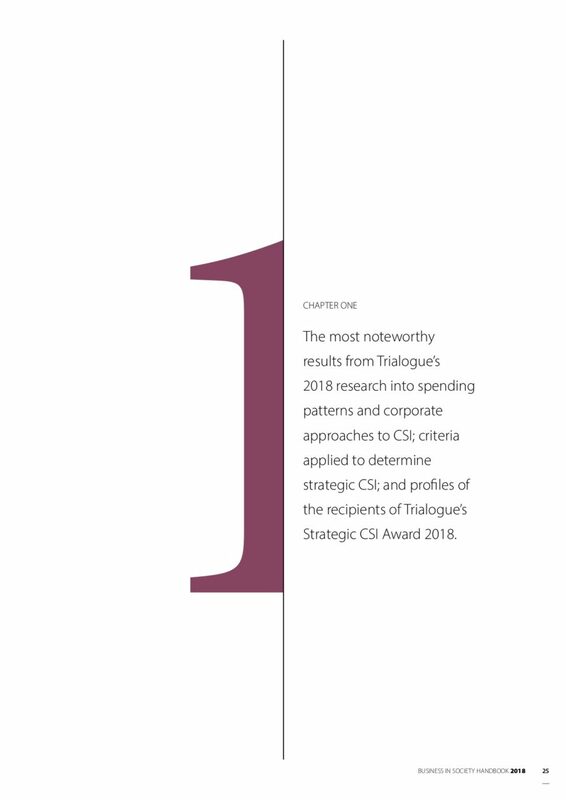 The 18th edition of The Trialogue CSI Handbook offers essential insights into the spending patterns of corporates investing in social development. These insights are based on Trialogue’s annual primary research conducted with companies and NPOs. This first edition of the Trialogue Funders Guide, which collates expert research and analyses, has been compiled as a user-friendly resource to help funders of social development, by simplifying the funding process and helping to make it more effective. Trialogue has been reporting on the intent and effort of South African businesses to be enduringly sustainable for over a decade. Over that time period, the corporate response to sustainability has migrated from nice-to-have to mandatory. 2014 marks 20 years of democracy, and The Trialogue CSI Handbook has been there almost all the way. This year we publish the 17th edition of this invaluable resource, which features research, case studies and best practice in the field of corporate social investment. Over the past ten years, the corporate sustainability imperative has firmly taken hold. The timeline of significant developments presented in this publication demonstrates the pace at which new demands are being placed on companies. The core of this 16th edition of the Handbook is the analysis of the research that we run with more than 100 companies and 200 NPOs. 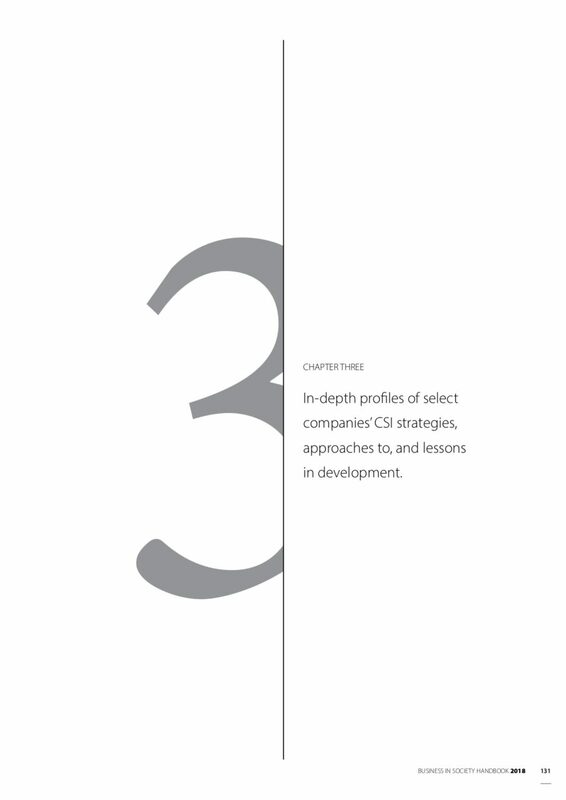 The Trialogue CSI Handbook is a resource that needs very little introduction for those working in the corporate social investment arena.